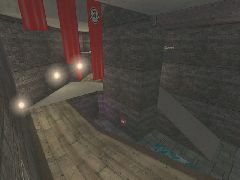 Sledge Hammer is a large MCTF map with four waterlogged bases and boardwalks. 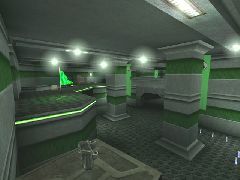 Features many custom textures and a protection room in each base for flag carriers. 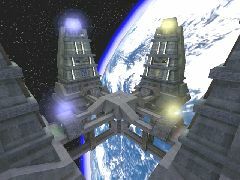 Note: Translocating is disallowed in the protection rooms to prevent telefragging the gun turrets.